Ribbon Communications Inc., a global company that specializes in IP-based communications security and software solutions, announced their new partnership with Yealink, a global leader of enterprise communication and collaboration solutions, to deliver more reliable and faster Microsoft Teams options. What Ribbon Products Have Been Tested? Ribbon’s Session Border Controller (SBC) 1000, SBC 2000 and SBC Software edition (SWe) Lite are all tested as a secondary register for Yealink’s Teams edition (the T56A, T58A and CP960). How Does This New Partnership Help? Ribbon’s SBCs now provide Yealink’s Teams phones with the ability to make VoIP calls without being connected to the Microsoft Phone system. Yealink’s Teams Phones allow Teams users to enjoy real-time communications through a familiar user experience and Ribbon’s SBCs enable the same calling features even when these Teams phones are not connected to the Microsoft system. “Microsoft Teams is one of the fastest growing enterprise collaboration tools in the world – now Ribbon and Yealink are working together to bring an innovative solution to market that will allow an entire organization’s employee base to realize the full benefits of Teams, even as separate groups are gradually migrated to the Teams voice capabilities,” said Alvin Liao, Vice President of Product at Yealink. Are you a Microsoft Teams user? 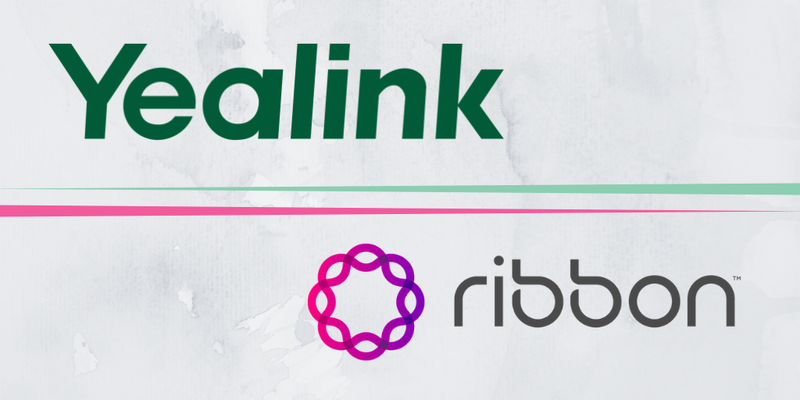 What are your thoughts on Ribbon’s new collaboration with Yealink? Share with us!